Hot chillies could slow down lung cancer, a new study suggested. US scientists showed how chilli peppers helped stagnate the rate lung cancer can spread to other parts of the body – a process called metastasis. Author and Phd student Jamie Friedman at the Marshall University Joan C. Edwards School of Medicine in Huntington, West Virginia, said: “Lung cancer and other cancers commonly metastasise to secondary locations like the brain, liver or bone, making them difficult to treat. His study tested the theory on mice infected with progressing human lung cancer. Results revealed that the rodents which ate capsaicin showed smaller areas of cancer cells in the lung compared to mice who did not consumer the natural compound found in chilli peppers. It was also discovered that capsaicin suppresses lung cancer progression by stimulating a protein called proto-oncogene tyrosine-protein kinase, also known as Src. This protein plays a crucial role in controlling cellular processes such as proliferation, differentiation, motility and adhesion. Mr Friedman said that while the results are promising, patients could suffer spicy-like side effects such as burning sensations and stomach aches. He said: “We hope that one day capsaicin can be used in combination with other chemotherapeutics to treat a variety of lung cancers. 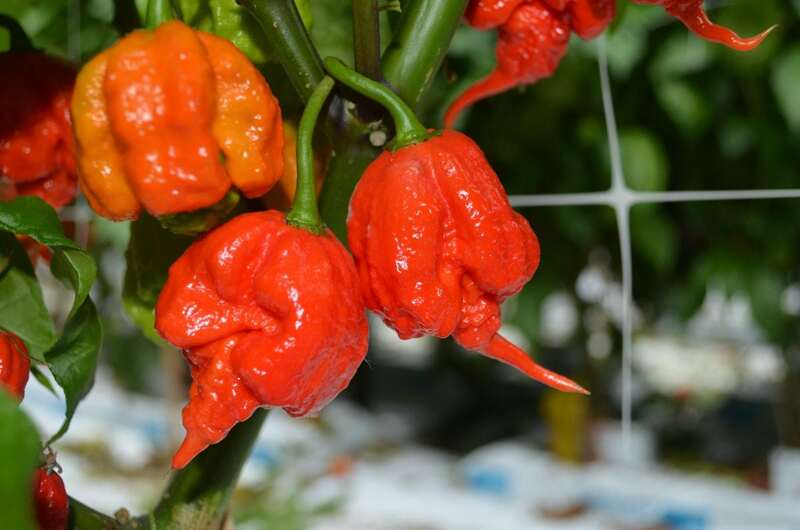 The team plan to discover ways to remove the spiciness from capsaicin or find a similar but less pungent compound with similar anti-cancer properties. The study was presented at the American Society for Investigative Pathology in Orlando, Florida.